PC World magazine has ranked the major technological inventions of the past few decades that have changed the way we live and work. To be considered for the list, a product not only had to be superior in quality, it also had to be life-changing in some regard. The editors considered hundreds of products through the decades before coming up with the top 50. Each item was rated on popularity, staying power, degree of innovation, and overall influence on the world of technology. Though some items on the list had a short lifespan due to the nature of an ever-changing industry, they are still acknowledged because their influence continues to be seen in many of today’s commercially-available products. Apple has seven mentions on the list, with two in the top 10. From the early model Apple II at the dawn of the personal computer era in the 70’s to the ubiquitous iPod so many of us tote around today, the list covers a broad spectrum of technology through time. Some of the products that have been around for a while such as Tetris (1985) are still used today, while others have been replaced by newer, faster versions of themselves such as the Nintendo Entertainment system from 1985. One thing they all have in common is that they have left indelible marks on the technology timeline. Here are the top10 on the 50 Best Tech Products list. 1. 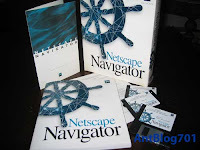 Netscape Navigator (1994): In 1994 Marc Andreessen launched Netscape Communications, offering his new Navigator Web browser (based on Mosaic) to the world. Finally, users outside of the academic world would get a taste of HTML, and nothing has been the same since. 2. 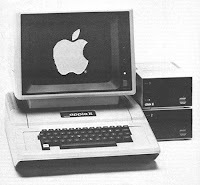 Apple II (1977): While the Apple II was by no means the first personal computer ever made, it was unarguably the first one that actually did something useful--not to mention the machine itself looked a lot cooler than anything else on the market. It’s safe to say that this machine really ignited the personal computing industry. 3. TiVo HDR110 (1999): With the ability to pause, rewind, and record anything on the air, TiVo changed the way in which people watched television. No longer would people be using their cumbersome VHS machines, or fear missing out on a favorite TV show with this innovative breakthrough. 4. Napster (1999): No, not the Napster that is now strictly regulated and subscription only, but the one started by Shawn Fanning that sparked a national copyright upheaval. Napster will not only go down in history for its groundbreaking peer-to-peer technology aspect, but also for bringing record labels to their knees by forcing them to recognize the growing presence of the digital music world. 5. Lotus 1-2-3 for DOS (1983): Lotus was the PC’s first ever critical application—a huge milestone for the PC community. It served as the standard spreadsheet application until it was superseded by the rise of the Microsoft era. 6. 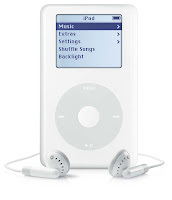 Apple iPod (2001): iPods were not the first portable music players by any means, but they were however, the first ones to simplify the way in which we can enjoy our portable music. Sleek in design and convenient to carry, the iPod has changed the way we procure and record music. 7. Hayes Smartmodem (1981): In 1978, with $5,000 in hand, Dennis Hayes launched what would become one of the most noteworthy tech companies of the ‘80’s. With the invention on the Smartmodem, Hayes personally spearheaded the telecommunications revolution. 8. Motorola StarTAC (1996): The first mobile phone to establish that design matters as much as functionality, leading to today’s profusion of stylish cell phones. 9. WordPerfect 5.1 (1989): An incredibly innovative application, WordPerfect laid down the groundwork for future word processing programs. It endured for many years until Windows became the prominent operating system for business and personal computers alike. 10. Tetris (1985): Alexey Pajitnov’s simple take on the video game was a groundbreaking achievement for the gaming industry as Tetris was one of the first games that required actual brain use. After 20 years, Tetris continues to inspire different variations and knock-offs of this basic but challenging game involving falling bricks.